Alton W. Janelle II, age 90, of Green Bay, passed away peacefully, Tuesday, May 16, 2017, with his family by his side. He was born January 19, 1927 in Green Bay, son of the late Alton R. I and Isabel (Liebman) Janelle. Alton graduated from Central High School after his honorable discharge from the US Navy. During his enlistment, Alton served as staff "morse code operator" on various ships, including the aircraft carrier USS Franklin D. Roosevelt. Alton was a born salesman, from Lindsay's Water Softeners to "Carver Boats" (the very first "on the road salesman" they had). Alton worked as a car salesman for several motor company dealerships including Mercury, Lincoln, Continental, Ford, Chrysler and he even sold R.V.'s. He won many awards for his talents in sales. He was always a "Ford Man." Alton met his beautiful wife, Kathryn Hedstrom after his service in the Navy and married her, January 22, 1949. They shared 68 loving years of marriage and were blessed with 7 children. Alton was very proud of his 7 children. Alton enjoyed building and flying radio controlled model airplanes for 25 years. His favorite hobby was Amateur Radio, which he learned from his father at an early age. He obtained his first FCC "Ham Radio" operator's license in the 1960's. Alton volunteered as an radio operator for the Green Bay Mike and Key Club where he conducted monthly testing of the Brown County Emergency Warning Systems. He was awarded a plaque for his 25 years of service to the county. He also had fun in his early years keying "morse code" across the continent, communicating with fellow enthusiasts. Alton is survived by his beloved wife, Kathryn; 6 children: Alton (Debbie) Janelle III, Austin, TX, Christine (special friend, James Nooyen) Sladewski, Green Bay, James Janelle, Green Bay, Michael Janelle, Green Bay, Mary (James) Andrews, Las Vegas, NV and Annette (Christopher) Vanden Busch, Green Bay; 11 grandchildren and 10 great-grandchildren. He will be sadly missed by his family. 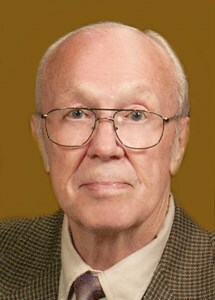 He was preceded in death by a son, Thomas A. Janelle and son-in-law, Edmund J. Sladewski, Jr.
Visitation will be held at NEWCOMER FUNERAL HOME (340 S. Monroe Ave., Green Bay), Wednesday, May 24, 2017 from 4 to 6:45 PM, concluding with a prayer service at 7PM. Visitation will continue at ST. FRANCIS XAVIER CATHEDRAL (140 S. Monroe Ave., Green Bay), Thursday, May 25, 2017 from 10 to 10:45 AM. A Mass of Christian burial will be celebrated at 11 AM with Fr. Joseph Dorner officiating. Full military honors will be rendered at the conclusion of Mass. Interment will be in Allouez Catholic Cemetery. Alton's family would like to extend a special thank you to the wonderful staff at Woodside Manor for the care given to him the last 2 1/2 years. Also, a special thank you to Unity Hospice for the care given in the last weeks of his life.